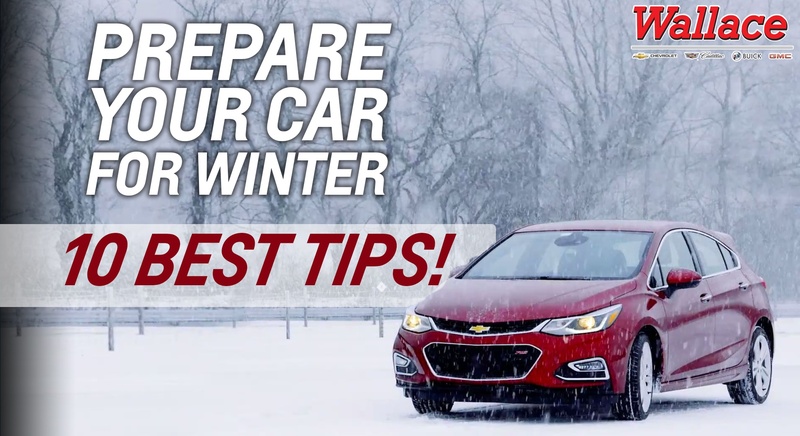 Wallace Chevrolet > Tires > Prepare Your Car For Winter – 10 Best Tips! Prepare Your Car For Winter – 10 Best Tips! The cold weather is here and it’s time to prepare your car for winter! Here are ten easy steps you can take to maximize your safety and visibility in the frosty weather! 1. Get winter tires! You’ve heard it before but if there is only ONE step you want to follow this is the one. Studies have shown that using summer tires in winter can add almost 50% to your braking distance! Be winter smart and make the switch! 2. Check your battery! Your vehicle is likely equipped with a voltmeter or battery symbol that shows how much charge you have left. Batteries are more likely to die in winter as your vehicle needs more current to fight the cold! 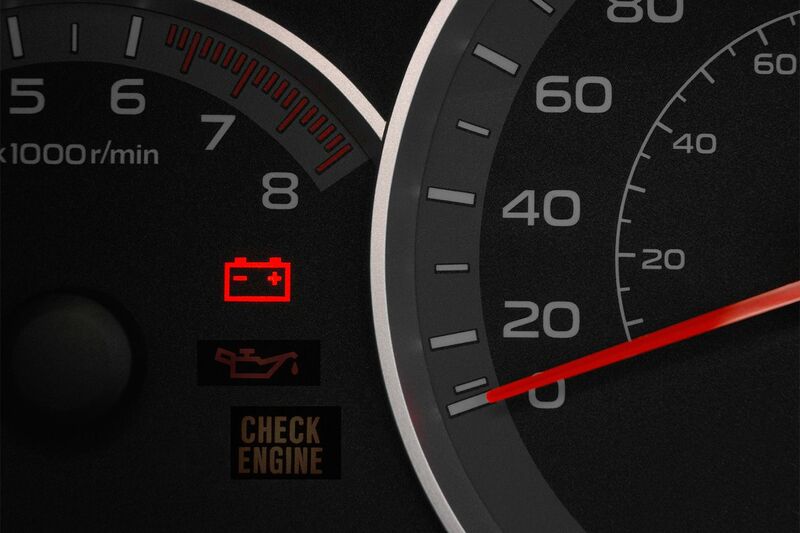 Prevent the dreaded dead battery panic – swap in a new battery if it’s low! 4. Clean the interior glass! This step is super easy and super helpful! You’d be amazed at how much detritus can build up on the inside portion of your windows & windshield; grab a window cleaning product and a clean rag and try it on your windshield! One spray and wipe and you’ll be amazed! 5. Get a vehicle safety kit! Swing by your local hardware store and pick up a winter emergency safety kit! 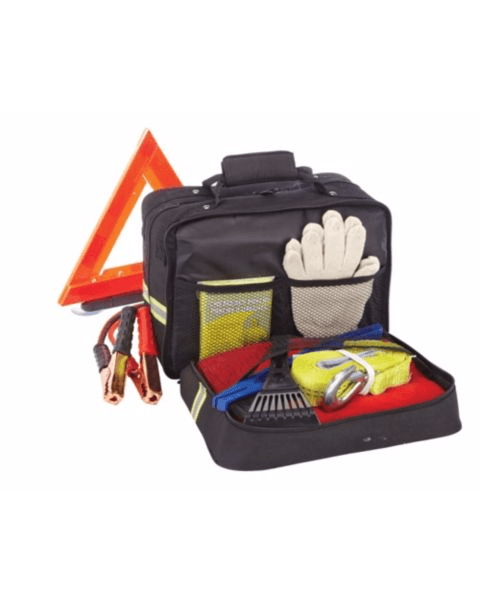 These handy little kits often contain jumper cables, orange cones, emergency blankets, bungee cord/zip ties, gloves, a small scraper, a multi-tool, cloths, and more! 6. Change your wiper blades! Pick up a set of winter wiper blades and swap them in; you’ll be amazed at what they can do! They are thicker and heavier than regular blades and as a result they can push ice and snow off your windshield a whole lot better! Be sure you keep your summer set, too! 7. Pack your own survival kit! Grab these items and pack them somewhere safe, like under your trunk floor! Grab a bag and throw in gloves, a hat, a flashlight and backup clothing and shoes. Additionally, grab sand bags, a tire chain (plastic or metal), a shovel and extra windshield washer fluid! 8. Grab a car charger for your phone! The last thing you need is to get stuck with no way to contact emergency services, family, etc. A car charger will ensure you can call for help when you need to. Also, make sure you remove your phone when you leave as cell phone batteries can freeze!. 10. 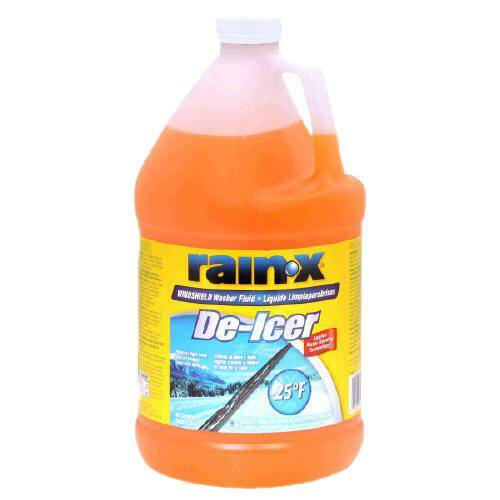 Pick up some winter windshield washer fluid! Winter windshield washer fluid contains additional additives like methanol, ethanol, ethylene or glycol that lower the freezing point of the fluid and do a better job coating and clearing your windshield. Prepare your car for winter with these steps and you’ll be ready for anything! It may seem like a lot but the variability of winter weather can but undue stress on many parts of your vehicle. Plus, many of these items you only need to buy once! Be safe out there and allow additional stopping distance!